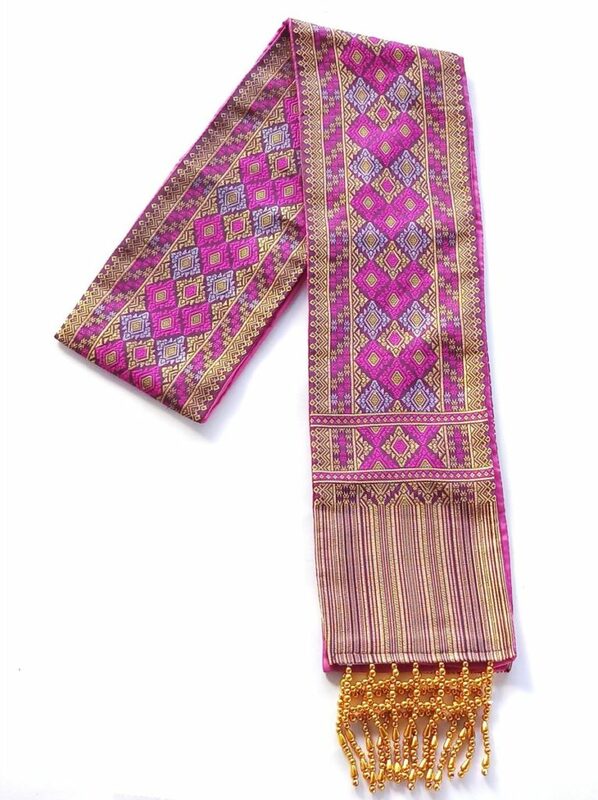 Sabai or sbai is shawl-like garment, or breast cloth worn in mainland Southeast Asia. Maybe most of you will be familiiar with the term Sanghatik, it is the same thing but for lay people use, we call it Pha Sabai or Sbai. It is a common practise to dorn a Pha Sabai in Cambodia, most parts of Thailand and Laos especially when attending religious ceremonies. 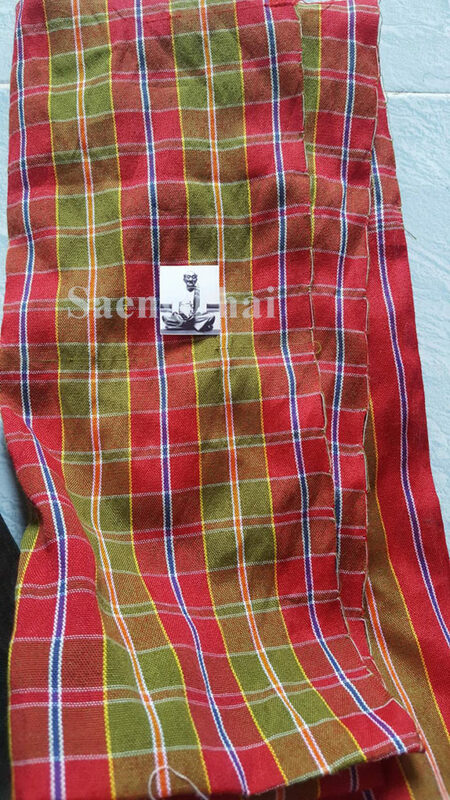 Some Sabai typically worn by men often has checkered patterns called “pha Khao Ma”. Pha Sabai also well known as a long piece of silk, about a foot wide, draped diagonally over the chest covering one shoulder with one end dropping behind the back for ladies. There are related mythologies in the Khmer culture concerning the history of Pha Sabai, which was likely invented during the Funan era in Cambodia’s history, in the 1st century AD. Pha Sabai is mentioned in Preah Thaong and Neang Neak, a legend with the founders of the Kingdom of Funan as the two main characters. In one scene, Preah Thong clings to a piece of cloth known worn on the Nagini in order to make the journey to the Naga’s kingdom; that piece of cloth is a Pha Sabai. In that tale,Pha Sabai is symbolic of Neang Neak, the Naga princess’s tail. Archan Prasert told me those days Sangkhatik was used as an additional clothing in cold season but this days some considered just another monk’s requisite or some take it as a symbol of Buddha’s viharn or kampli (Buddha’s words). For us whom are into the spiritual practise, you may see lay archans will put their Pha Sbai over their shoulder before their ritual starts. We take it as our kruba archans have arrived and standing with us presiding the ceremony or ritual. 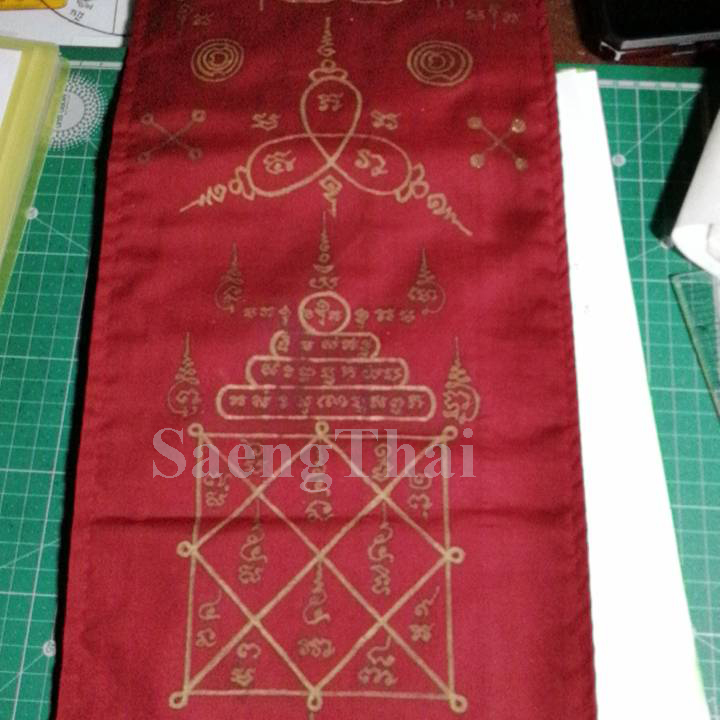 Of course our Pha Sbai isn’t just another white cloth or Pha Khao Ma but also have yantras inscribbed onto it (hidden) and usually given to us in our waikhru ceremony. Those whom are sensitive to energies will vouch for what I explain here, if one were to wear the sacred shawl during their chantings and meditation, it has a different feeling. 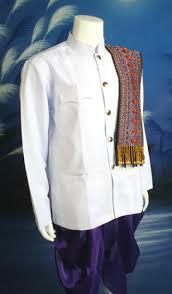 This is one good belonging that we could own and carry with us whenever we go for waikhru, those whom follows me to Ven. LP Seua waikhru does notice that after Tahn LP put the Sian Kru over my head, Tahn LP will hand over whatever Kru items eg our books, tools…etc that I passed to Tahn earlier as a symbol of continuation of Kru’s blessings in our learning or work. Since most of you are just going for the blessings for the auspiciousness, it will be a good sacred belonging that you always bring for your waikhru. This is only my suggestion, other than just using it for own meditation or chanting. Archan Prasert made these sacred shawls with Sangkatiks (same as the ones offered to the Sanghas). He will sew all the 4 sheets together to prevent them from falling apart , 4 sheets symbolic for Nak Mak Phak Thak or earth, water , wind and fire. Then decorate both ends with lace tassels. Archan Prasert will then write the necessary yants on the shawl. 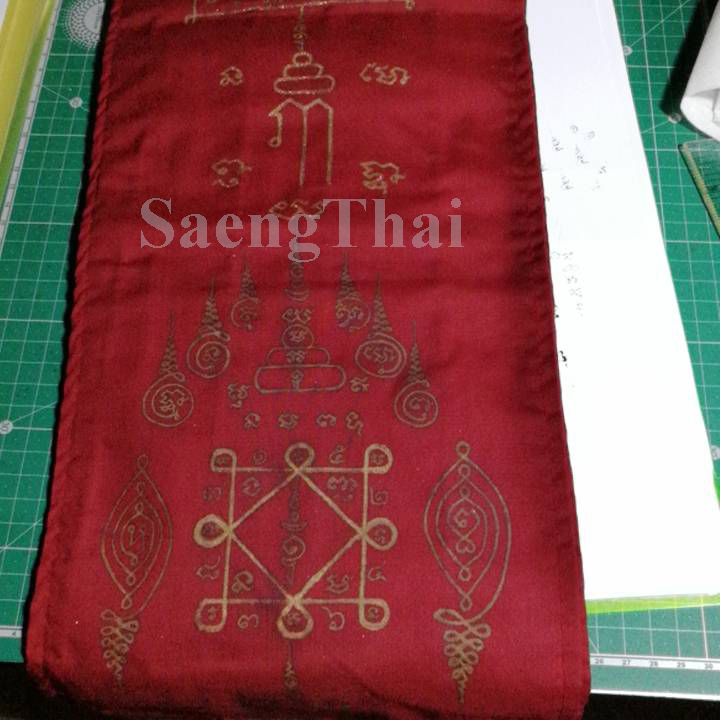 Only two colors are available, the one you see above now , maroon red is a common Sangha robes color in Northern Thailand and also yellow/orange. Archan Prasert will need to know what kind of profession you have or what qualities you aspire your Pha Sabai to be endowed with. Archan Prasert was kind of closed mind about making for non-luksit (outsiders) because all this while only his disciples have them. I managed to convinced Archan Prasert to accept orders from my circle of friends. Per piece of Pha Sabai is THB19,999. Previous Post - Previous post: The Buddha image that punishes.